The Dice Odyssey: The Forest Awakens! And now we are back to the man made of wood Treeman, complete with sword. 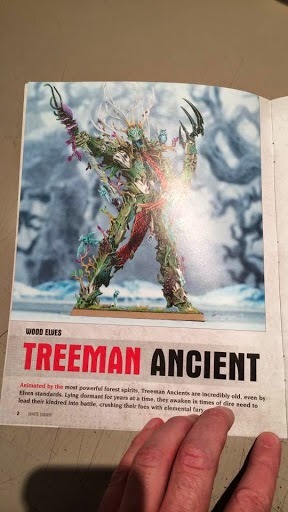 I don't quite know what to think, i so far have liked both 5th and 6th ed Treeman but the 8th ed Treeman? I would have get a better picture of it before making up my mind. Don't have the wd with me but I got to look through it. The wood elves have both high and dark magic. 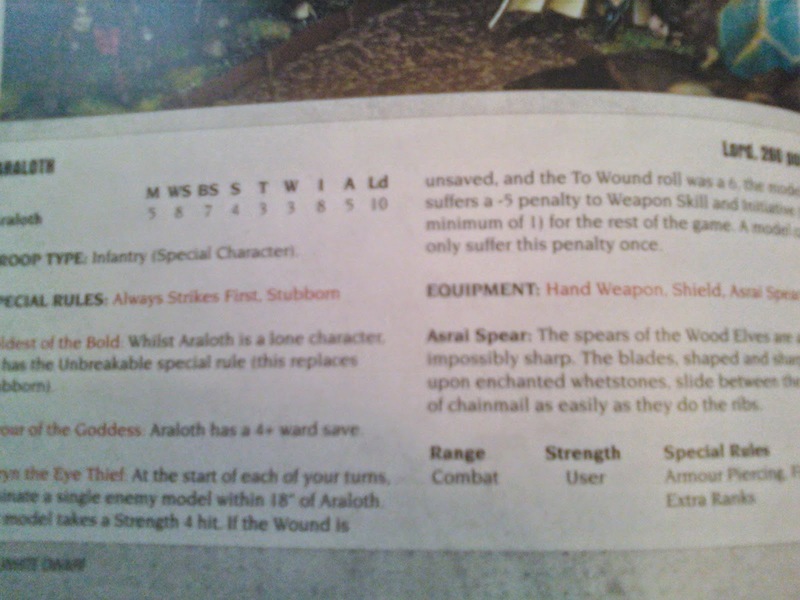 Didn't catch reference to athel Loren lore but it might be in there. 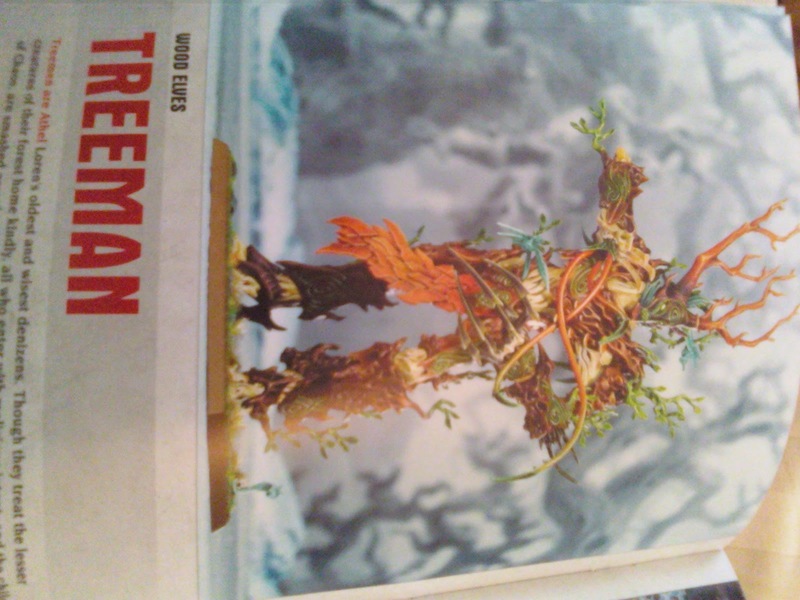 Mention of 13 spirits included on treeman kit, makes both regular durthu and ancient (which has a staff). 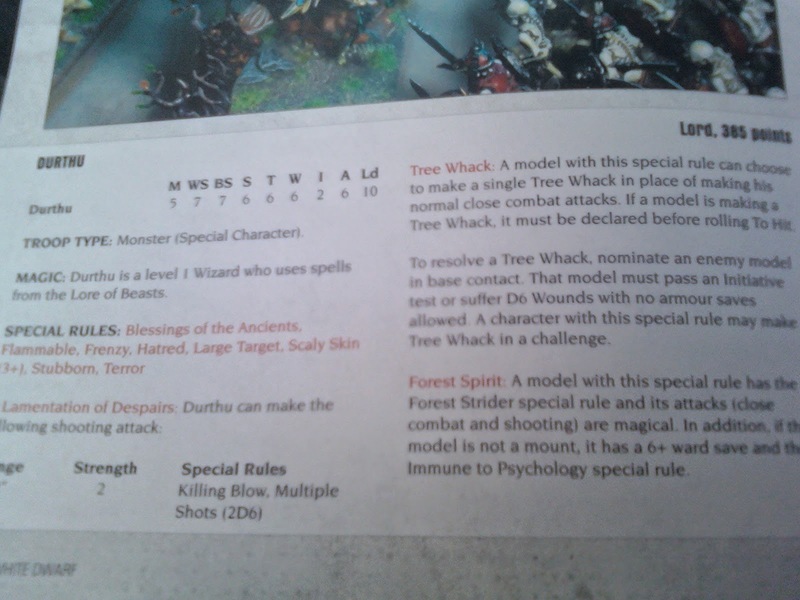 Durthu is lvl 1 beast, has lement of despair 2d6 str 2 kb. 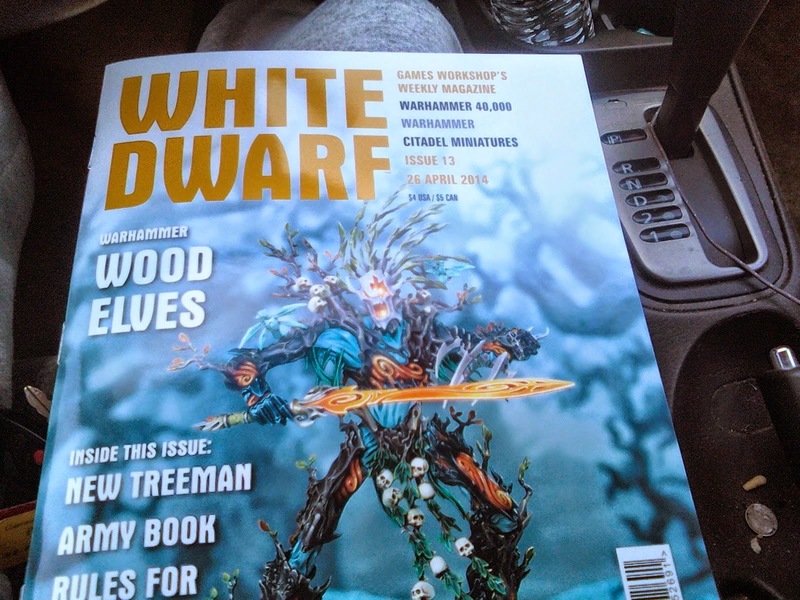 I am sad about the Forest Spirit Ward Save going to a 6+, and am highly skeptical that Wood Elfs' would get access to the Dark Elf, High Elf and its own lore. Thats 3 lores before you get to the rule book lores. Always strikes first, hatred beastmen, forest strider, no penalty to move and shoot with bows, and all bows both magical and normal re roll 1 to hit and add +1 strength at half range. Warhawks have the old hit and run rule. Mantle of the asrai gives a 6 plus ward and mantle of kurunos gives a 6 plus armour save. 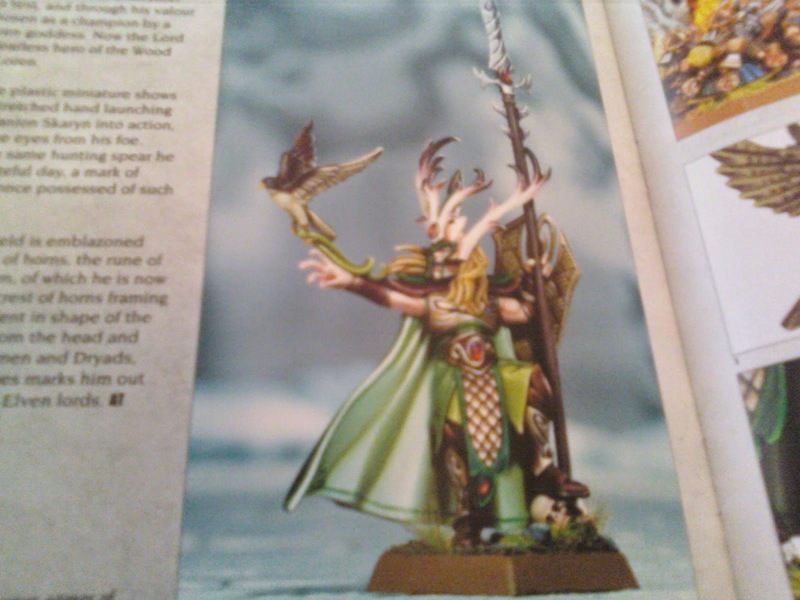 Firstly one thing that was not mentioned was that Wood Elves have access to High, Dark and Athel Loren Lores, so i was wrong and am very happy to be wrong on that point. Now i am happy to see that all bows in the army get S4 at short range and that the Eternal guard are not being dropped and get a +1 Strentgth weapon. Also we hate Beastmen, so yaay. Over the next few days a i expect a fair few Wood Elf rumours, so instead of doing one post per rumour i will constantly update this post, so check back here for rumours with the addition of witty commentary. Until the next rumour. I have to say I don't like the look of either of those new models. They seem way OTT... and the sword wielding one looks like some odd Eladar Avatar thingie... unless that's the tie in to their futuristic stuff they are after? 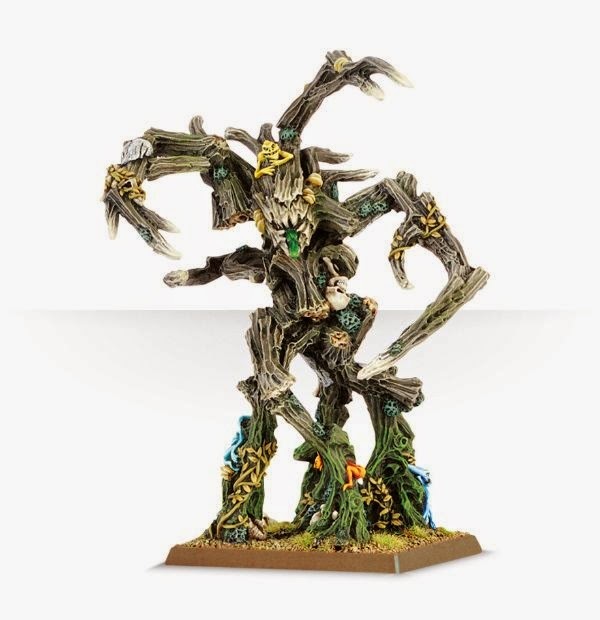 I have one 5th ed Treeman (currently my Treeman Ancient) and two 6th ed ones, so i will probably end up getting the new one just to see what it looks like "In the flesh". 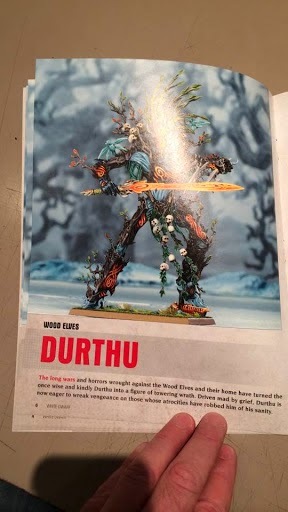 As for the Avatar comparison i have heard that twice today, what makes even less sense is that that model is the the Durthu model, whats a treeman special character doing with a sword? 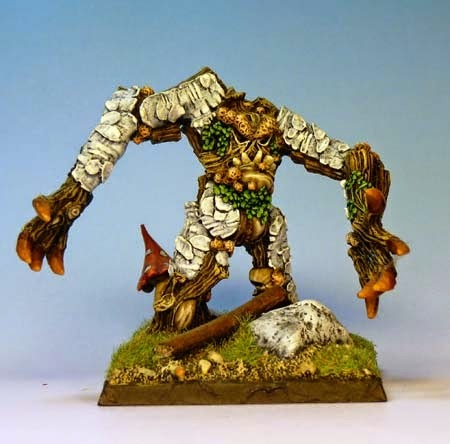 I love the standard Treeman but the other two are very odd in my opinion. Great for Eldar Exodite players though. All in all, after a few hours of thinking, I think these are better than the old ones aesthetically, but don't quite capture the wood elfyness.